So I’ve been meaning to post this for awhile anyways, but since one of my friends finally made a specific request for our floor plan I finally got on the ball to put this post together. So, in case you too were wondering what our floor plan looks like so you can plan a heist into our house now you’ll be all set! So starting in the top left is obviously our cabinets, next to it is the countertops in our kitchen. The wood you see just below that is the laminate flooring we will have in our entryway and kitchen. The carpet sample you see to the left will be in all of our living areas (all of the upstairs, living room and family room). We upgraded the carpet a little bit because Sam likes laying on the floor and stroking the carpet. We figured we might as well have nice carpet for him to lounge on. But after we went home and were considering different costs we had second thoughts about whether we should go back to the standard carpet to lower our costs. So on our second appointment when I was dropping some things out and leaving other things in, we got to the carpet and Sam was sitting next to me, stroking the carpet and saying “puppy! puppy!” (i.e. this is soft like a puppy! )… I didn’t have the heart to downgrade the carpet after that, so we kept the nicer carpet :P The tile on top is what our countertops in the bathroom will be and the bottom tile is the vinyl floor that we’re putting in the bathrooms. I’m really excited about the choices we made. 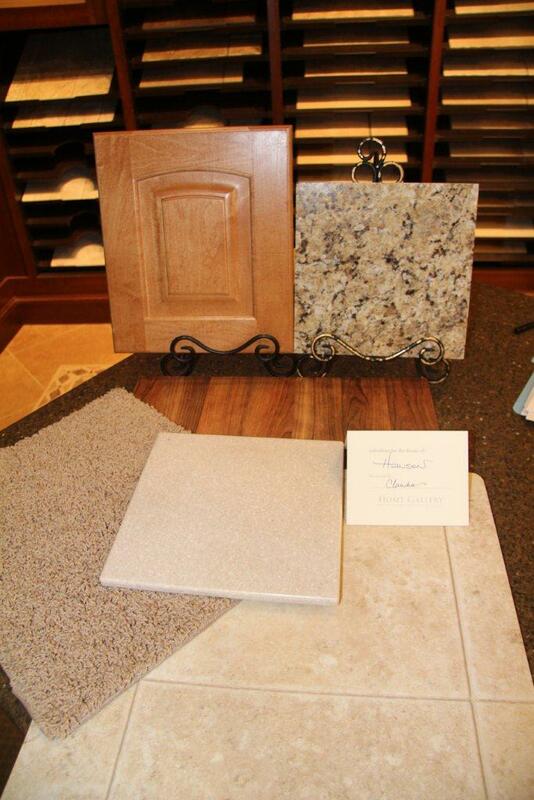 At first no one liked the granite that I had chosen and I really thought twice about it. In fact I’d just about been talked into choosing a completely different granite when I went into the design center I looked at the granite that everyone else liked, and I hated it. I really liked this one much better. So you’re welcome to hate on just about anything you like… but I’m probably at least not going to change my mind on the granite :P I’m really excited to see how these all look when they’re put together in our house. I think that I really like everything we chose, but I have a hard time envisioning how it will look in large scale. Thanks so much to Claudia at the design center for all of her help picking things out! House Update – It’s more than a hole now! 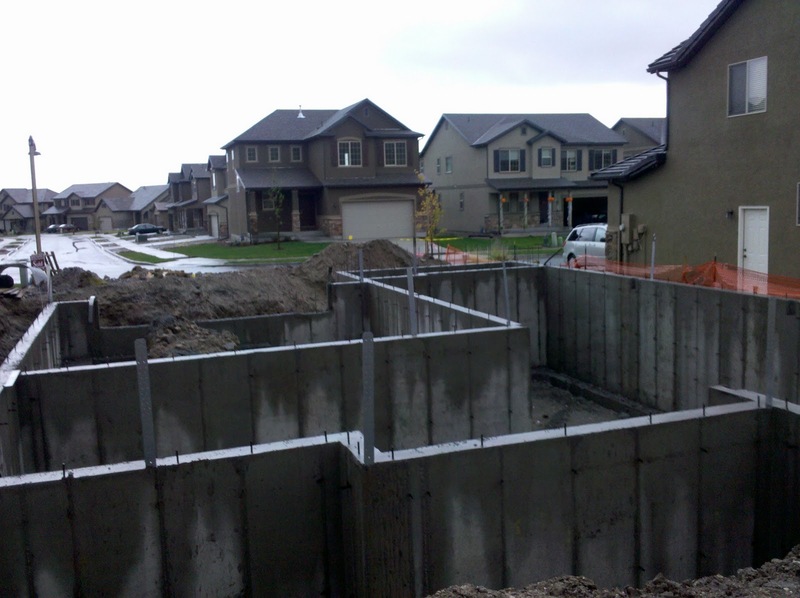 So I was worried that the weather might have prevented much work from getting done on the house, but we were pleasantly surprised to find that our foundation, basement walls, and window wells have all been filled out! Hopefully we can provide a time lapse of the construction as it progresses. For now, it looks like everything is on track to be finished before Christmas! What a great gift! Standard view from the front. 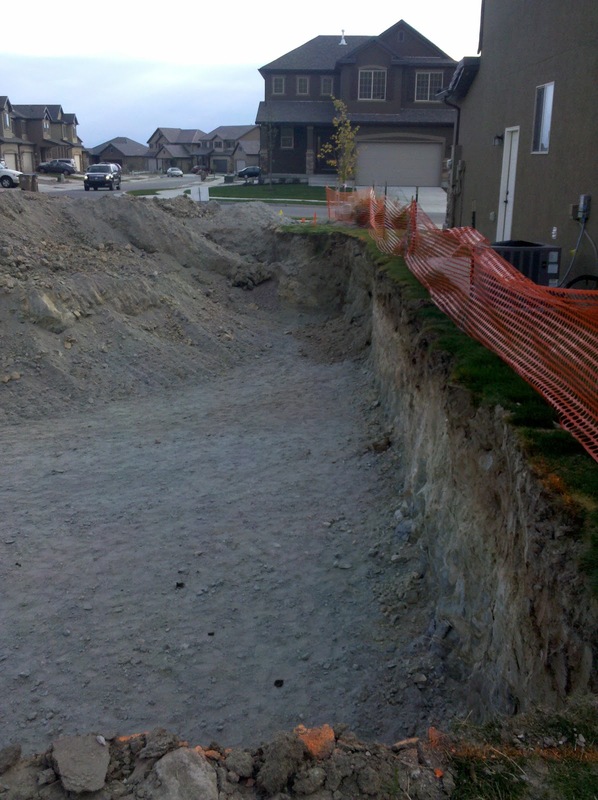 You can tell most the mounds of dirt have been redistributed and the walls are just poking above ground level. 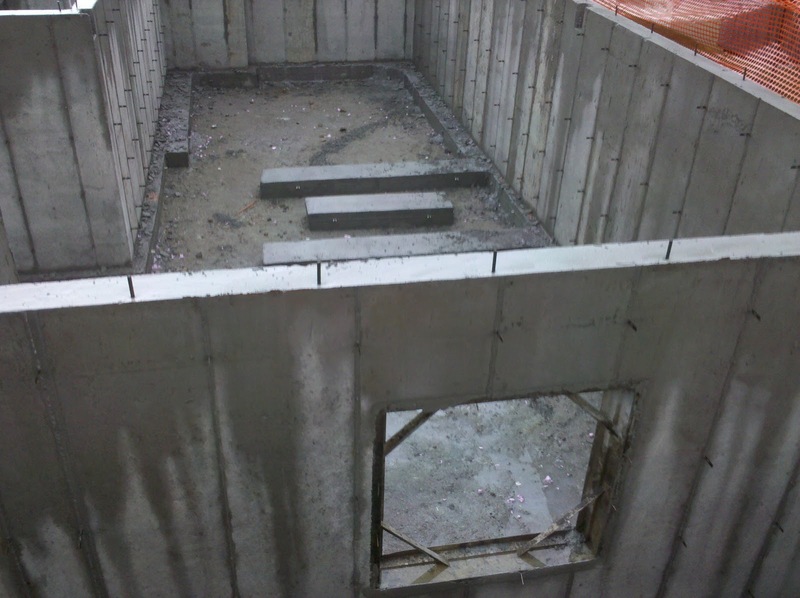 Northwest window well and basement. Looks like plumbing is all set up as well. The front view, you can see what our neighbors homes look like, we have a picture of the colors that the front of our house will be too, but I’ll have to find that picture and post it another time. Looking from the back of our lot past the hole and down the street. 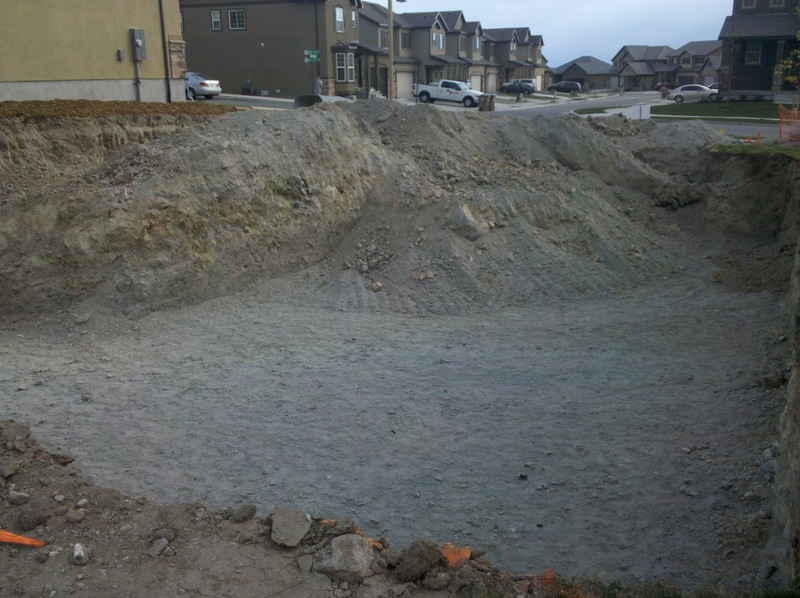 You can see the huge mounds of dirt that they dug up to get our foundation in. 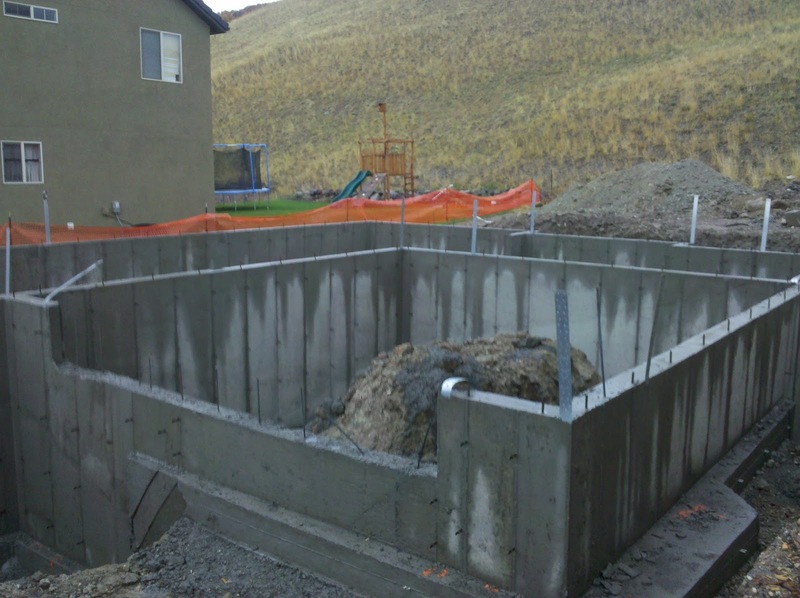 Along the side of the hole, you can see the fence they have that marks our property line, but don’t worry, there will be a little more space since they’ll fill in a few feet on the side of the foundation after the concrete has been poured inside. Hey look! 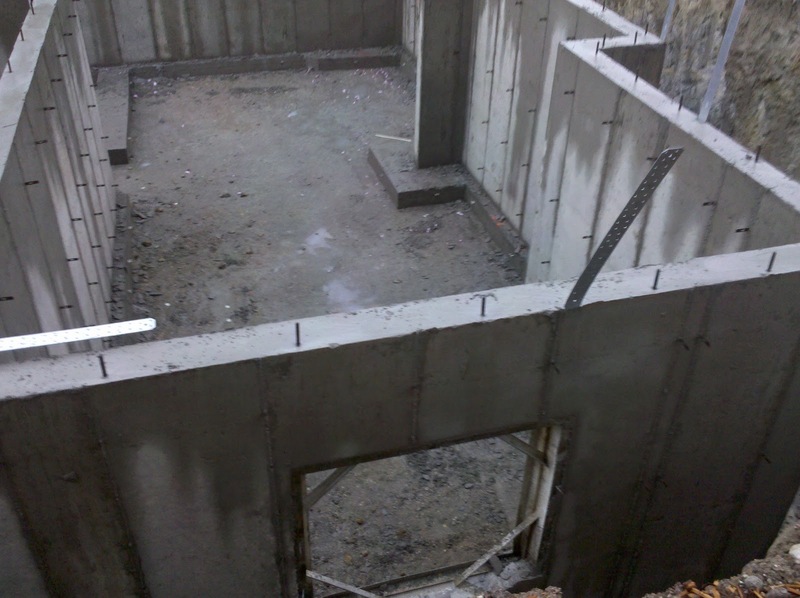 That’s going to be our basement! It’s crazy to see just how deep that hole is, we were glad that Sam was happily asleep in the car while Eric took these pictures. I know they’re not the most exciting pictures for most people, but we’re pretty excited to see progress being made. I think it’s going to be cool to see how we go from a blank lot to our own house! We bought a house! With Eric getting his new job here in Utah it is finally time for us to put down roots and make a home. As many of you may remember, it’s been a long road getting here so I’ll give you a quick recap of the whole situation. Last summer (2009), Eric and I had determined that we were probably going to be sticking around in Utah for some time. Since the housing market seemed to be in the toilet and we had money saved up for a reasonable down payment we decided it was time to start looking for a house. So we did some house hunting and found a house that we really liked. 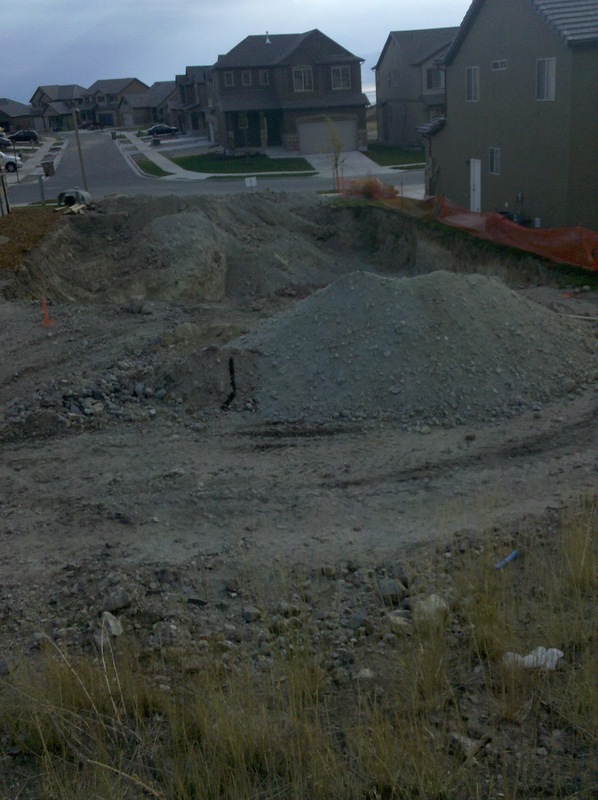 It was in Orem, close to the freeway and close to Omniture. We thought it was going to be perfect for us. So, since we were in a bit of a time crunch to purchase a house as our contract at our condo was ending soon we made an offer on that house after seeing it just once and started making preparations to move in. As we started doing all of our due diligence there were a few things that I wasn’t 100% comfortable with. We really loved the house itself, it was brand new and had never been lived in, there was an HOA that would take care of all of our yard care and snow removal, and it seemed like a very convenient location. But when we went back to visit the house again there were a few things that popped out at me that I hadn’t noticed before. For one, the advantage of being super close to the freeway was actually a pretty major disadvantage because it meant that we had a lot of noise pollution from the freeway. We were also right next to a trailer park which didn’t do a lot for the resale value of our home. Plus while our street was relatively quiet it ran right into a pretty major road which isn’t exactly where you want your kids riding their bikes. So I had some reservations, but we hadn’t found anything that we’d liked better and we’d already put the money down so we decided to move forward anyways. Then about a week before we were set to close Eric heard about a potential opportunity for us to go to China for his career. Living in China is something that we’ve always had as a goal for our family because we have a great affinity for China between Eric’s mission and my experiences with the Young Ambassadors. After some praying and temple attendance we decided to cancel the offer on our house and to find somewhere else to live while things got sorted out. I was excited about this new opportunity, but also relieved that we weren’t going to purchase this house after all. So we had to scramble and find ourselves somewhere else to live in one short week. It was an *insane* week, but I truly feel like we were guided by the Spirit. Interestingly, our main qualification for where we wanted to live was that we wanted to find somewhere that would offer us a month-to-month or at least abbreviated contract. The place we decided on offered us neither. In fact they offered only year long contracts, even though the manager had emailed us previously indicating that an abbreviated contract wouldn’t be a problem. But when we got there we liked the place so much we decided to go for it anyways. It was really a great place for us to be. We were in a fantastic ward with people who we came to love dearly. Interestingly, we ended up in condos that were only a few blocks from the home we had almost bought. Being in the area convinced us even more that it would have been a mistake for us to buy that home, as much as we enjoyed our time there. As you read in Eric’s post, the opportunity for China fell through. It was a very slow process and it wasn’t like one day he came home and said “they changed their minds”, but between his company’s acquisition and some changes in management the decision was made that it wasn’t really practical at this time for them to send someone there right now. It was pretty disappointing but by the time it happened it wasn’t unexpected. When all the pieces had settled though I kept having the feeling like I should encourage Eric to look at finding a job elsewhere. His current job was below his abilities, and while it was a really good job, I knew he was more valuable than he was being recognized for. I tried to shake it off as that seemed like it ought to be Eric’s decision and not mine, but when I would try to work on searching for homes here I just felt like it wasn’t time to settle down here yet. So I kept nagging Eric to look for other jobs. I hated doing that because I knew he loved working for Adobe and didn’t want to leave. But I couldn’t relent and continued nagging him, so he started looking. Meanwhile, the contract on our condo was ending at the end of July and we didn’t know where we were going to be living. That was very nerve racking to know that we had to be out and that we didn’t have somewhere else to go. The management of the condo wouldn’t even offer us an option to go month-to-month on our contract. We started to look for some month-to-month housing while we got things figured out, and then a miracle happened. Eric’s parents had been on a mission in Salt Lake for the past two years and had debated staying here at the end of their mission. Eric’s 95-year old grandma has a caretaker living with her in a retirement community in Orem and one of Dad Hansen’s siblings needs to stay nearby to help manage her care. At the end of Eric’s parents mission his uncle was expected to be moving to Utah after serving as a counselor in the Fresno California temple presidency and to help with managing Grandma Hansen’s care. However, as his term was coming to a close he was called to be President of the temple for the next 3 years. This made up Mom & Dad Hansen’s mind and they decided to put their home in Indiana on the market and move to Utah. They were able to quickly find a home that they loved and purchased it before they even had a chance to return to Indiana to get their house ready to sell! So at the end of July they were scheduled to close on their new home at the same time that the lease on our condo was up. They generously offered to let us come live with them while they went back to Indiana to sell their home and we were waiting to get everything figured out. It was a HUGE relief to know that we had somewhere to go while we were deciding the next steps in our life. After we moved in with Eric’s parents we were still waiting to hear back from some of the companies Eric had interviewed with. Finally, some of the jobs he interviewed for panned out. One in particular was looking especially promising in advancing his career and putting us in a good position as a family. We considered it and decided that it was probably a good move for us, except for one thing, it wasn’t really where Eric wanted to be long term. It was a much more promising opportunity than his current position, and would be a good stepping stone, and he was well qualified for the position, but it just wasn’t the capacity that Eric really wanted to be in. Fortunately, (as you probably read in Eric’s previous post) he was able to find some opportunities that were available at Adobe that he was much more intrigued by and turned down that offer and eventually got his dream job. Which puts us back at house hunting here in Utah. We were eager to avoid the mistakes we’d made last time and tried to start really researching different areas. One of the greatest blessings of not buying the house we had considered last year is that Adobe announced that they will be building their new campus in Lehi. So while the first house was in a great location for a job in Orem, it wouldn’t have been as ideal when Eric had to start commuting to Lehi. 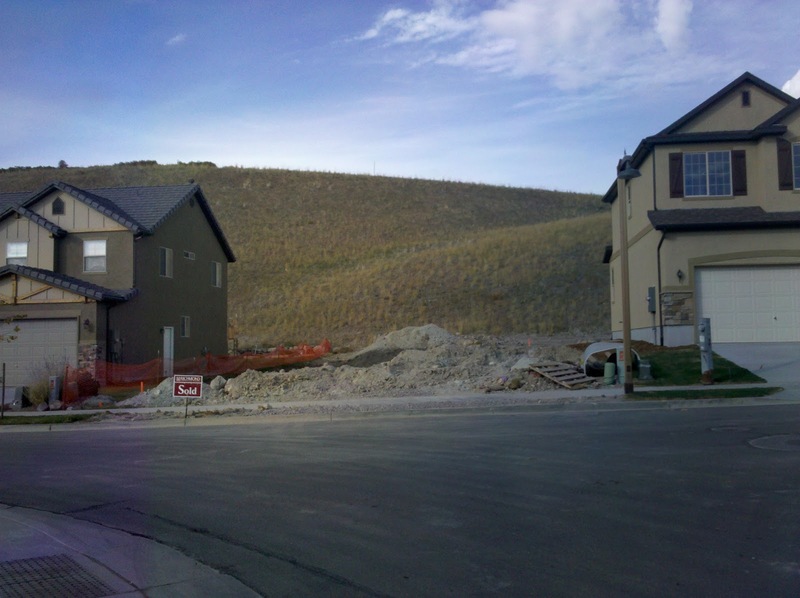 We did some preliminary research on our own and decided that we likely wanted to end up in a particular community in Lehi that’s still being built out and has a lot of foreclosures and short sales. We went and perused the community one weekend and really liked the feel of it, kids out in the neighborhoods and pretty houses. It was a nice convenient location, close to the freeway without the problems of noise pollution and just an overall nice area. The one drawback was that the yards weren’t as big as we would have liked, but otherwise it seemed perfect. As part of our research Eric thought we should talk to one of the home builders up there and see what was available if we wanted to build our own home, even though we weren’t planning on building. So he set up an appointment with one of the builders to go and check out their offerings. The day of our meeting I did some quick research on the homes that they were building and wasn’t too optimistic about what I saw. The homes, while very nice, were smaller than we were looking for. We really wanted to find a house that our family could grow into and stay in forever. Not that we necessarily *will* stay in our home forever, it is our first home, but we wanted to be somewhere that we wouldn’t quickly grow out of and have to start the home buying process again. When we got married we said that we wanted to move as little as possible and that we were going to stay in our Wymount apartment for 3 years. We’ve now been married for 3 years and in that time we’ve moved 6 times. Not *exactly* what we had in mind. So we wanted to make sure that we wouldn’t be put in the position to have to move again soon. Anyways, despite my skepticism we decided it wouldn’t hurt to go check it out. If nothing else we could maybe get another perspective on the community. So we went up and met with Tony, the real estate agent for the builder. He walked us through the half finished model home and it was basically what I had expected. Beautiful homes that were well built, but just smaller than what we were wanting and on really small lots. 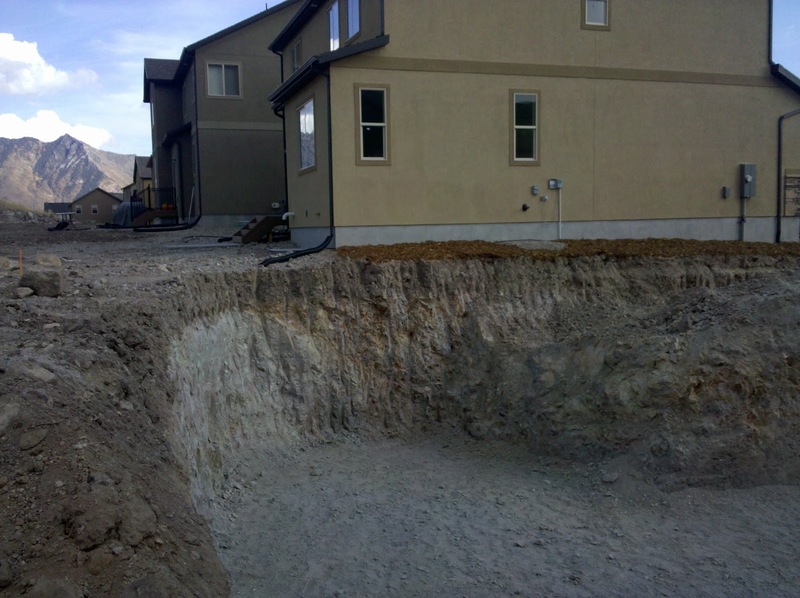 Of course, this was also the problem with most of the homes that we were looking at in this community, but we just weren’t thrilled with what we’ve found. As we talked to Tony about what we were looking for and the things that didn’t entirely jazz us about these homes he mentioned that he also sold for the same builder in a community a little ways up the road. He told us that the homes sounded a little more like they might match our criteria and that the neighborhood was *awesome*. He said that the people there just seemed to love each other and there were kids out in the streets most of the time and that it looked like a party every night when he was leaving to go home. The location wasn’t what we thought we wanted but we thought it was worth going and checking out. So he led us out of the community and deeper into Lehi… and deeper. Then he turned and started going up a mountain into what seemed like the middle of nowhere. We were very skeptical at this point since one of our main draws to the places we had been looking was accessibility… and this place wasn’t all that accessible. Finally we got to the community, and he led us to the model home. He talked to us for a minute but then had other business to attend to so he let us loose in the model home to take a look around on our own. Our first thought when we walked into this model home was “Ahh! Yeah! This is much more like it! This is what we were looking for!” The house had more space for kids to run around and just breathing room. It was the style of home we wanted. The yard was a little bit bigger, there were more bedrooms and plenty of room in the basement to grow into. In short, we loved it. When Tony came back we talked to him about how much we liked that home and really thought it was the kind of home we could picture ourselves in. We had one reservation, it felt way far from civilization, but we really liked it and would definitely consider it. While we were there one of the moms from the neighborhood stopped in and asked if she could bring her kids in to use the restroom there. It may sound like a strange thing but we loved that the neighbors all felt comfortable there and that there were moms out taking their kids for walks. Tony told us that there were only 5 homes left in that community and only one left that was the floor plan that we liked. So we decided we’d take home some fliers and information and go home and do some more research, but we knew we couldn’t sit on the decision too long. On our way out we ran into the same mom that had brought her kids in to use the bathroom. We talked to her about the community and she repeated the same things that the real estate agent had told her. The neighborhood is great, the ward is awesome, it’s a fantastic place to live. 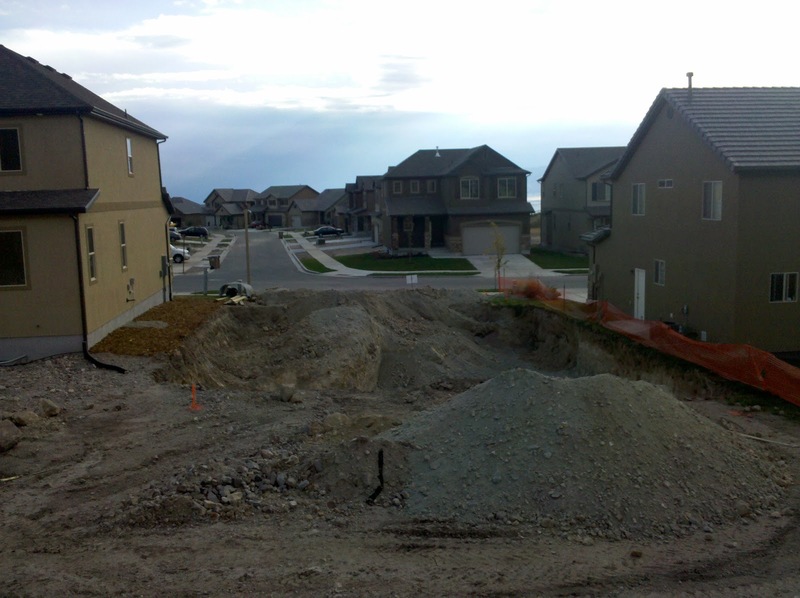 Then we went to check out the lots where the remaining homes were going to be built. Sadly we discovered that on first glance the lot that had the floor plan that we loved wasn’t what we thought we wanted. There was another house being built that was a similar plan, that was on a lot that we thought would be better. So we decided to go home and consider our options. Over the next week we did a lot of research and sent the real estate agent some questions that we had. Sam and I went up to the neighborhood on Friday and spent some time in the neighborhood park talking to the moms there and just getting a feel for the community. It was awesome. For one, I realized that it wasn’t as far off the beaten path as I had felt the first time around. It is a gorgeous community where you’re amidst trees, and there’s no traffic. Most importantly, it’s out of the disgusting inversion layer that settles in the valleys in Utah. Plus, the moms at the park were very welcoming and gave me all of the great features of the neighborhood, and what to expect with buying a home there and what the ward was like etc. It was probably the best thing I could have done. That night I also really started looking through housing listings that we’d been sent for Lehi. As I started looking through them I just felt exhausted. You have to understand, at this point I’d been doing house hunting since about April 2009. 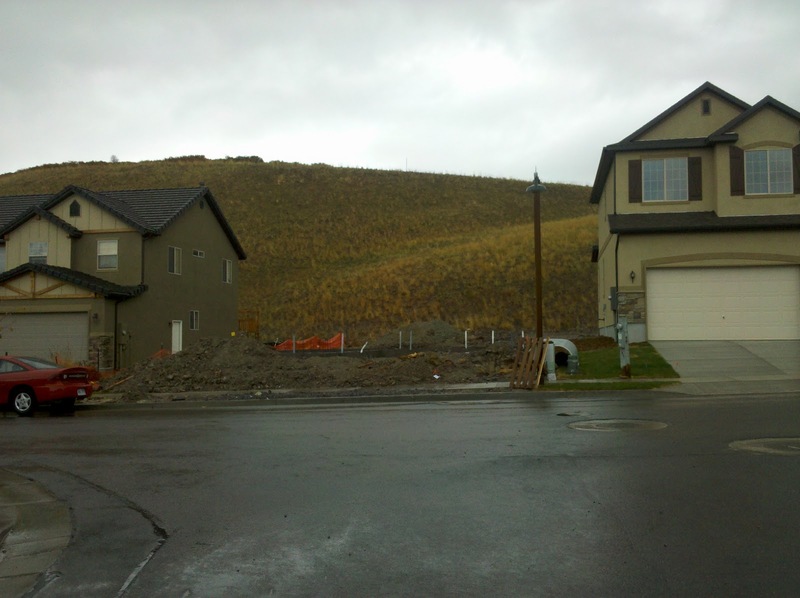 Initially I’d looked in Orem before we almost bought that house last year. 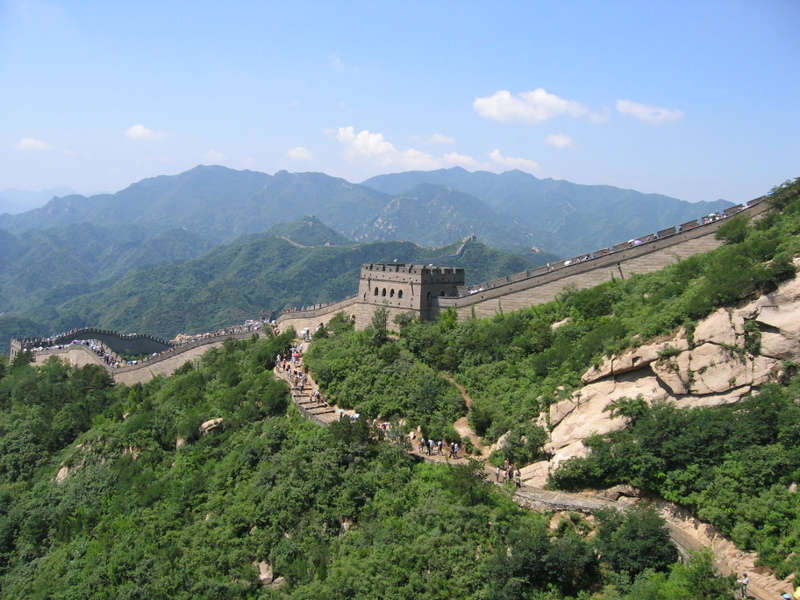 Then I researched housing in China when it looked like we were going to end up there. Then I looked in San Antonio when things seemed to be heading in that direction. Then in San Diego when Eric was highly considering a job offer there. At this point I was sorta house-hunted out. Plus I’d already found a place that I really liked and I was convinced that we’d be happy. As I looked at other houses I realized that I’d have to re-do all of the research I’d done for this community on any other house that we looked at. There were some interesting listings out there, but I was already convinced that we’d be happy where we’d found. But I chalked the fatigue up to it being late at night and just went to bed determined to try again later. On Saturday we scheduled an appointment with Tony to go up and look at the community again and discuss some of our questions with him in person. We were able to bring Mom & Dad Hansen with us which was very reassuring to be able to have a trusted unbiased second opinion. We went and toured with them through the model home again and they were very impressed. Then we took them to the lot where the model we liked was going to be built. When we went back we realized that the things that we’d been concerned about with that lot, weren’t concerns at all. It was larger than it had seemed in the darkness and it really had some amazing views. We also decided that we didn’t even like the other lot after all. It’s amazing what going somewhere a second time will do for you! As we talked though things with Tony he asked us what was keeping us at that point from making an offer on that house. It was a very valid question because we’d already told him we were in love with it and about all the research that we’d done. It came down to that we wanted to visit the ward and think it over just a little bit more before committing fully to this house. He voiced his concern that it was the last one of an extremely popular model and that the homes were going quickly. He suggested that we go through all the paperwork with an addendum that we could have 72 hours to think things over and could rescind our offer for any reason whatsoever up until that point. In fact, it wouldn’t even so much be rescinded as never made. It put the house on hold so that no one else could sneak in and buy it out from under us, while still giving us the flexibility we wanted. That seemed like the perfect solution to us so we sent Mom & Dad Hansen home with Sam while we went through the massive mound of paperwork that would be necessary to make the offer. We went home feeling really good about what we’d done. It committed us enough to the house that we could really consider things seriously, without keeping us from changing our minds. So we went home and did more praying, and more researching and attended the ward that our new home would be in. An interesting thing happened at church. Well, a couple of interesting things. First, when the Bishop started announcing the program he announced that they had a returned missionary who would be speaking that day, Daniel Barrick. I did a double-take when he said that and thought, “there’s no way.” Sure enough, I knew the returned missionary. The Barricks had lived in my stake in Thousand Oaks for all the years while I was in high school. They’re a great family and one that I was fairly familiar with between stake functions and business interactions between Brother Barrick and my dad. What are the odds that we would go to the ward on the exact day their son was speaking about his mission?! So that was pretty cool. The other cool thing that happened was in the middle of the sacrament some little kid pulled the fire alarm. It was really funny to sit there while everyone looked around trying to figure out what to do. The bishop went and got things taken care of but it was totally disrupting to the meeting and just kinda funny. The really funny part was that Sam had fallen asleep before we got to church and slept through the fire alarm right up until it went off. He was more disturbed by the alarm being turned off than he was by it turning on. What a silly kid! So, the ward checked out and all of our questions were answered satisfactorily. We felt really good about the decision we’d made and so we let those 72 hours expire and submitted our offer on that house. Everything’s been accepted and now we just have to wait until the house is all finished being constructed. We’ve been given the estimate that we should be in the house by Christmas with a fairly solid assurance that we’ll be in by the end of the year as the builder wants the house to close before the end of the fiscal year. We’re so excited about this and can hardly wait for it to be finished! To most people looking back at our first home buying attempt it was a failure. We almost bought a house that wouldn’t have been good for us and we ended up rescinding the offer at the last minute causing major headaches for everyone involved. Plus we lost some money for services that the mortgage broker provided that we couldn’t get a refund on. But I think it was one of the best learning experiences for us. Because we’d been through it all before we were more cautious this time around in the home buying process. Eric and I learned a lot about how to communicate with each other and make decisions together. I think the things we learned from that whole process were worth every penny we lost to the mortgage broker. It was confusing when the whole China opportunity fell through. We really felt like China was the right answer. But in retrospect I think our answer was more – don’t buy the house, and keep looking towards China. This gave us the opportunity to rescind our offer on a house that wouldn’t have been good for us. Plus, we still feel like China is in our future, just not the immediate future. Because we thought we were preparing for China we were put in a position to wait the market out for another year. While people said last year that interest rates weren’t going to ever get any lower, they did. While there was speculation that the housing market was going to pick back up – it didn’t, and it’s in worse shape than it was before. Also, we had a full year to really get our finances in order before buying a house. It allowed us the opportunity to live in a wonderful ward and have some great experiences there and make some terrific friends. Another great blessing is that in the year that elapsed between our initial house purchase endeavor and our second we found out that Adobe was going to move its campus from Orem to Lehi. While we wouldn’t have really considered moving all the way out to Lehi last year, now it’s the perfect location for us and we’re really glad that we didn’t buy a home in Orem. I think the most confusing and difficult part for me has been the feeling that we’d be moving out of state. I felt very strongly about this and had a hard time letting it go. But in retrospect, I think I took the revelation that we did receive – that we were doing the right thing by looking out of state – and interpreted it to mean that we *would* move out of state. But I think because of that we really took the interviewing process seriously. We really researched different places and jobs. I think it’s because Eric had some great offers from other companies that he was able to get the job he really wanted. Also, he’d already brushed up on his interviewing skills and polished his resume so that when the right job came around he was ready for it. In the end I’m very confident that we’re exactly where we’re supposed to be. Finally, what I think may be one of the greatest blessings we’ve been given is moving in with Mom & Dad Hansen. It’s given us some extra time to save up just a little bit more cash so that we can hopefully have our full 20% down payment when our house is finished. Plus, it’s given us the flexibility to not have to make snap decisions on things that are really important. However, I think the greatest blessing is the increased relationship that we’ve been able to develop with them. Sam *loves* his Grannie and Grandpa and I think it’s been a great blessing for him to really get to know them better. Plus, I’m a bit on the shy side myself and so I have a hard time letting my guard down around people. But since we’ve been living with Eric’s parents I’ve really been able to become as comfortable with them as I am with my own immediate family which I think is a great blessing as well. And we’ve just enjoyed being able to spend time with them, sharing meals and day-to-day life together. A HUGE thank you to Mom & Dad Hansen for sharing their home with us while we’ve gone through this process. Well, that’s the end of our major announcements. Stay tuned though, I’ll be posting pictures of baby bumps and houses soon!